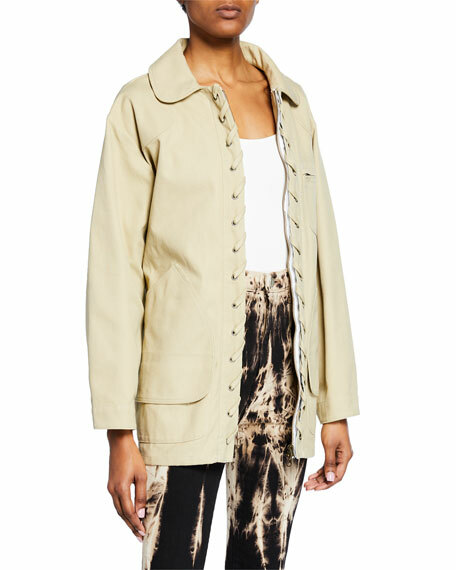 Tre by Natalie Ratabesi jacket in pique, featuring laced, whipstitch trim. 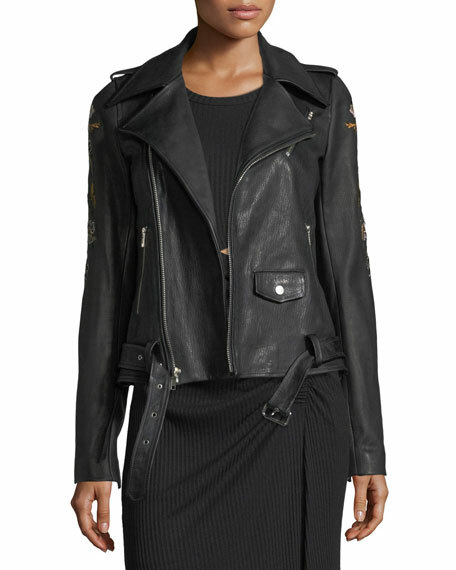 Rounded spread collar; zip front. 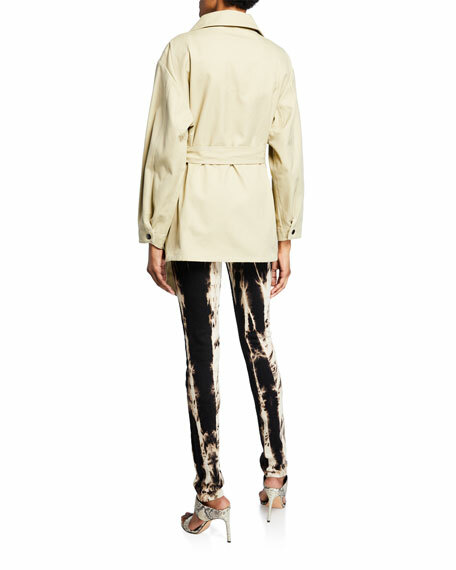 Tre by Natalie Ratabesi jeans in bleached tie-dye denim. 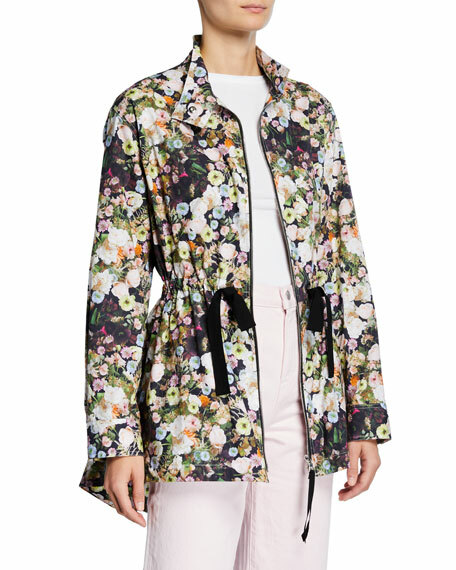 Adam Lippes anorak jacket in floral print poplin. 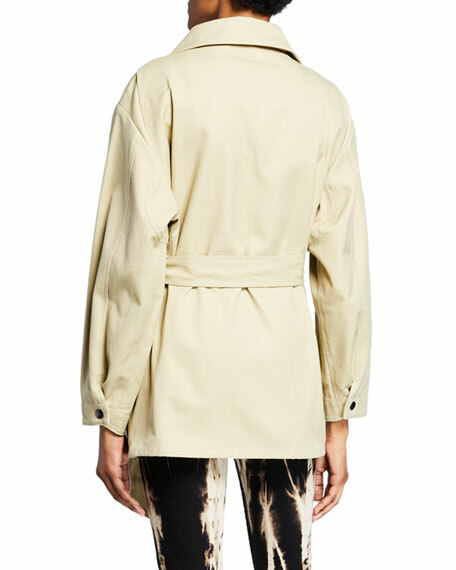 Spread collar; zip front. Long sleeves. Velvet drawstring waist tie. Fit-and-flare silhouette. Peplum back. 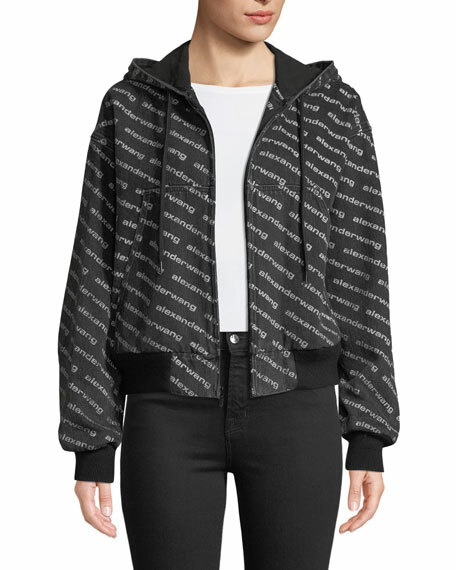 Viscose/virgin wool/nylon/spandex. Made in USA of imported material.